HFCU Annual Meeting - 4/24/19 @ 4pm at 161 Patriot Way - Visit a HFCU Branch for more details! From everyday adventures to major milestones. Just one of the ways we give back to our community. Our new dealership financing program lets you find and finance your car directly at the dealership. We offer plenty of mortgage programs to help renters become owners, including FHA, USDA, and VA loans. Take advantage of our financial planning services. Want to trade credit cards? Transfer your current credit card balance to an HFCU Visa® card and get a rate as low as 1.90% APR* for 12 months. No balance transfer fees. No minimum transfer amounts. 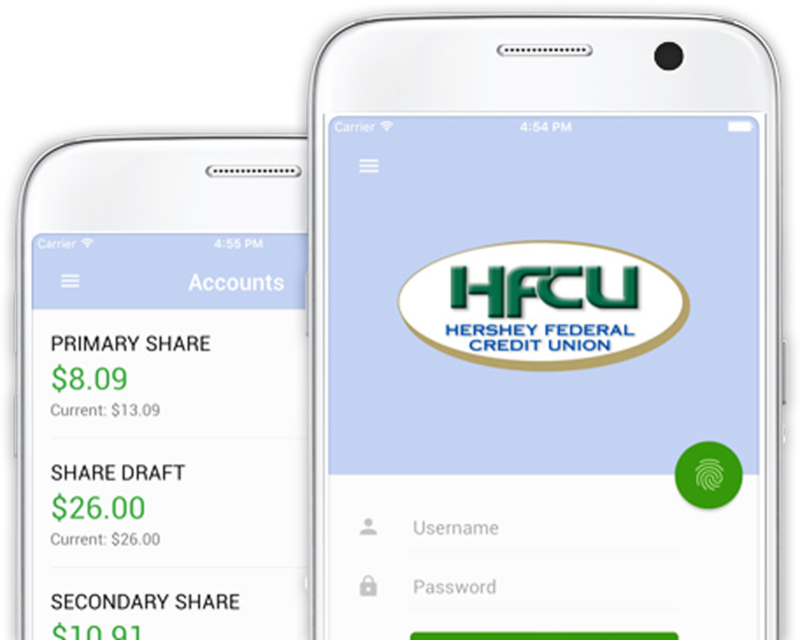 Stay connected to our accounts with free digital services — like mobile apps for Apple® and Android®.